Sometimes technology doesn't work and doesn't work at really embarrassing times. 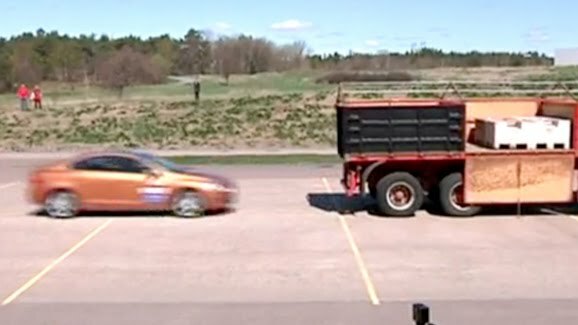 Volvo demonstrated their Collision Detection System for the press, although it didn't work quite as described when it came to show time. This is a good lesson in technology. Its really cool and sophisticated, but in order to make it consistent, there needs to be a lot of testing, and more importantly, you should have a backup plan and not rely on one technology entirely. Backup plan: person watching the road and using the brakes!